In less than a week the Atlanta Braves have signaled they are ready to move not only into their new stadium in the spring, but are also ready to move into a new, successful era. While Atlanta first parted ways with McDowell, the choosing of Snitker is the true first step to the beginning of the new era. Snitker prior to the Fort Bragg game between the Braves and Marlins. Brian Snitker, interim manager since the firing of Fredi Gonzalez long before the all-star break, had a 59-65 record at the helm of the 2016 club including winning 20 of the last 30 games of the season. His managerial stint coincided with what became one of the best runs of any club in the second half of 2016 as well as markable success of two star sluggers, Freddie Freeman and new Brave Matt Kemp. Other potential managers that the Braves’ front office interviewed included two other long-time Atlanta coaches as well as former players, Terry Pendleton and Eddie Perez, former big league managers Bo Porter, Ron Washington and presumable runner-up Bud Black. The firing of McDowell last week was assumed by many to signal that the club would go with Bud Black over Snitker. Eddie Perez and Terry Pendleton will remain on the staff in their previous roles, bullpen coach and first base coach, respectively. Also named to the staff is new pitching coach Chuck Hernandez. Hernandez was the 2016 minor league pitching coordinator. Few in the baseball community have served in as many roles for as long as Brian Snitker. 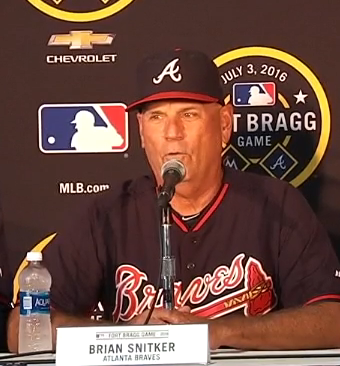 Snitker’s first stint with the Braves came in 1977 as a player. He has remained with the club since then serving as manager of the Durham Bulls, Greenville Braves, Myrtle Beach Pelicans, Mississippi Braves and Richmond Braves. He also previously served in the role of bullpen coach for the big league club. Tara Rowe is an independent historian and beat writer for BravesWire.com. Follow Tara on Twitter@framethepitch. When the New York Mets drafted David Wright in the first round of the 2001 amateur draft they knew that they were getting a player from an up-and-coming baseball system in Chesapeake, Virginia. Wright had played with a traveling team, the Tidewater Mets, that included the brothers Upton and Ryan Zimmerman. All four players would eventually end up playing in the same division in MLB. As a supplemental pick, the 38th of the first round, David Wright was taken after Mark Teixeira, Casey Kotchman, Mark Prior, Gavin Floyd, Mike Fontenot and number one overall pick Joe Mauer. Wright, a supplemental pick of the 2001 draft, has become one of the all-times greats of the New York Mets franchise. As a prospect, Wright’s scouting report said that his weakest tool was his speed which was merely average. While Wright’s bat was what had him move through the Mets’ system so quickly, the scouting report’s assertion that he had “above-average range, a strong arm, and soft hands” turned out to be a bonus with Wright. Ranked #5 in the Mets’ system in 2001, he reached the big leagues in 2004 where he played 69 games. Wright would go on to set franchise records for games played, runs scored, hits and RBIs. At Shea Stadium, Wright would compile a more than respectable slash line of .318/.403/.555. He would hit .284/.375/.451 at Shea’s successor Citi Field. When a club drafts a player, they can only hope that he will do as well at their home park as Wright has done for the Mets. His career numbers away from Shea/Citi Field haven’t been anything to sneeze at either: .294/.366/.485. In baseball like other sports, there is always an opponent who, despite being a competitor, represents a clash between clubs, but not a villain. David Wright has been that opponent for the Atlanta Braves. As someone who plays the game the right way and has always portrayed nothing but a love for the game, it has been hard for Braves fans to vilify Wright. In 182 games against Atlanta, David Wright’s slash line reads .277/.350/.496. While this may seem only slightly better than average, Wright has hit 36 homers against Atlanta, approximately 1 home run every 5 games. Add to that 190 hits and 98 RBIs and it has seemed at times that Wright couldn’t be stopped by Atlanta pitching. As of today, Wright has put up decent numbers at Turner Field in his 91 games there–261/.326/.480–nothing quite as good as his numbers against Atlanta when he has been on his home turf. Over the last couple of years, the Braves have seen less of Wright than in previous years. His 2015 spinal stenosis diagnosis became something that he and the Mets have had to manage on a day-to-day basis. With a narrowing spinal canal, Wright’s lumbar spine has caused him considerable pain. If not for a stress fracture in his lumbar spine, the diagnosis may not have come until the stenosis caused further deterioration of the spine. What this means for his future, nobody is sure. No player has played successfully with an open diagnosis like this. The real question for Wright has come with his neck surgery. Requiring a fusion of vertebrae in the cervical spine to repair a herniated disk, it is unclear whether Wright will be able to continue to play at an elite level. Opting for the surgery rather than to play through the pain was something his manager Terry Collins saw coming. The 33-year-old will be out for the remainder of the 2016 season. Going into SunTrust Park next season, the Braves will have a young, exciting roster much like the power arms of the New York Mets, the young Nats led by Bryce Harper, young talent of the Phillies and the big bats of the Marlins. It benefits young prospects to play against the best as they settle into the big leagues. It won’t seem right for the Braves to face off against the Mets without the captain being on the field, his smile wide and his glove putting on a defensive clinic. If all goes right in the third baseman’s recovery, he should be on the field come spring in Port St. Lucie. Tara Rowe is an independent historian and beat writer for BravesWire.com. Follow Tara on Twitter @framethepitch. The rumor that began in spring training and got louder as the Braves struggled through April and the first two weeks of May came to fruition Tuesday with the firing of manager Fredi Gonzalez. 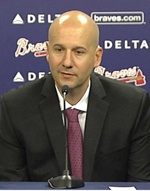 GM John Coppolella, architect of the Braves’ rebuild, will seek a permanent manager to start the 2017 season. Off to their worse start in a century, the Atlanta Braves, in full rebuild mode at the direction of CEO John Hart and GM John Coppolella, could no longer continue with Fredi Gonzalez, 52, in the dugout. While the responsibility falls on many shoulders, the manager is often first on the chopping block in these situations and so was the case this week for Atlanta. Gonzalez took the helm of the club in 2011 following the retirement of his mentor Bobby Cox. Moving from one NL East club to another, Gonzalez left the Marlins to lead the Braves to early successes. In 2012, the Braves played in the Wild Card game against the St. Louis Cardinals. They would go to the playoffs again in 2013, this time as the NL East champion. Since it became obvious that the Braves were going to commit to a rebuild, trading away Justin Upton, Craig Kimbrel, Evan Gattis, Alex Wood and Andrelton Simmons over two off-seasons, the Braves have struggled to put together wins. They began this season in an 0-9 hole and currently have a horrendous 9-28 record. 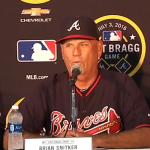 Going forward, the Braves have promoted from Gwinnett’s coaching staff Brian Snitker to serve as interim manager. Joining him from Triple-A is Marty Reed to serve as bullpen coach. With Gonzalez’s firing was also the firing of bench coach Carlos Tosca. It is assumed that both bullpen coach Eddie Perez, who will now serve as first base coach, and Terry Pendleton, now bench coach, will be candidates for the permanent manager position this off-season. Gonzalez leaves the Braves with a 434-413 record. The 2016 Braves roster is full of new faces. Not only do the Braves have a load of talent coming up through the system after a total overhaul this offseason, many guys who will make appearances throughout the season, the Braves made moves that brought trade pieces and free agents from numerous clubs. A few of those faces that have joined the club that might be recognized from their time with other big league teams include: Erick Aybar, Jhoulys Chacin, Ender Inciarte, Bud Norris, Drew Stubbs, Alexi Oganda, Tyler Flowers, Jose Ramirez and Gordon Beckham. Former Braves Eric O’Flaherty, Jeff Francouer and Kelly Johnson have returned to the club. If you tuned into the opening game of the season, you surely saw a face in a position that wasn’t familiar. Even if you followed many of the moves this offseason, you’d certainly be allowed a pass if you missed or forgot one or two. Erick Aybar (SS) – Aybar came to the club in the trade that saw fan favorite and defensive wizard Andrelton Simmons go to the Los Angeles Angels of Anaheim. Jhoulys Chacin (RHP) – Chacin comes to the Braves from the Arizona Diamondbacks, but is best known from his time with the Colorado Rockies. Chacin will join the 25-man roster once the club needs a 5th starter. Ender Inciarte (RF) – Inciarte was one of the most exciting pickups in the Shelby Miller trade to the Diamondbacks. He spent the first two seasons of his big league career with the D-backs. Eric O’Flaherty (LHP) – EOF is a familiar face to Braves fans. He rejoins the club after having signed with the Oakland A’s in free agency and a short stint in 2015 with the New York Mets. O’Flaherty was once part of an untouchable trio out of the bullpen with Jonny Venters and Craig Kimbrel. Bud Norris (RHP) – Norris joins the starting rotation after splitting last season with the Orioles and Padres. Norris is in his 8th big league season. Jeff Francouer (RF) – Frenchy returns to the Braves after fighting for a backup outfielder spot in spring training. 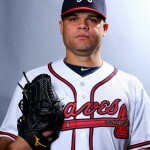 Once a member of the Baby Braves, he’s not a new face to fans though a very welcome one as he makes his return to Braves Country. Drew Stubbs (CF) – Drew Stubbs had less than 3 days to make the club after signing late in spring with the Braves. Immediately more impressive than fellow veteran centerfielder Michael Bourn, Stubbs was named to the roster in the 11th hour. Stubbs was released by the Texas Rangers at camp. Alexi Ogando (RHP) – Longtime Ranger Ogando signed a 1-year deal with the Red Sox last season. Without room in that stacked bullpen this season, Ogando joined the Braves in the offseason. Tyler Flowers (C) – Flowers fills a hole left by the trade of underwhelming prospect Christian Bethancourt. The catcher will split time with former Chicago White Sox teammate A.J. Piersynzki. Jose Ramirez (RHP) – Ramirez is another righty in the ‘pen who comes to the Braves from the Cleveland Indians. Kelly Johnson (2B) – Traded away to the Mets with Juan Uribe at the deadline last season, Kelly Johnson and his World Series ring come to the Braves as a backup infielder. Hoping to use less of Jace Pederson this season after over doing it ala Jonny Venters last season, Fredi Gonzalez is happy to have the sure hands of Johnson back. Gordon Beckham (3B) – Enlisted to man the hot corner, Beckham, a former White Sox middle infielder, will allow the Braves prospects to progress before an eventual call up. 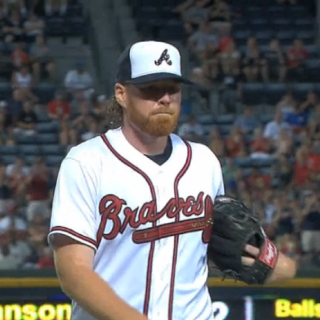 When news broke Monday that Tommy Hanson was in a coma in an Atlanta hospital after a friend found him not breathing, Braves Country became immediately concerned about the former Brave. The phrase ‘once a Brave, always a Brave’ has never meant as much as it does in times like this. News came Tuesday that Hanson, 29, had died. 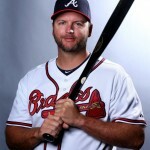 Hanson spent the 2009-2012 with the Atlanta Braves. After the first half of 2012, he was traded to the LA Angels of Anaheim. In 2009, Tommy Hanson burst on the big league scene after lighting up the minors with his unhittable fastball. His reputation preceded him. In 2008 while pitching for the Mississippi Braves, Tommy threw a no-hitter, earned a MiLBY for Class A Advanced Single Game Performance, was rewarded for a dominant season with a spot on the Baseball America’s Minor League Team of the Year, was the Arizona Fall League’s MVP and was named Braves Pitcher of the Year. It is no exaggeration to say the league was anxiously anticipating his debut. We often forget how promising Atlanta’s pitching staff was in the late 2000s. Jair Jurrjens, Kris Medlen, Mike Minor, Brandon Beachy, Craig Kimbrel and Tommy Hanson were either on the roster or making their way through the minors to The Show. Julio Teheran and Randall Delgado were only a year or two away. The front office had acquired Tim Hudson, Eric O’Flaherty, Kenshin Kawakami, Derek Lowe and Billy Wagner to round out the staff and offer veteran leadership to the up-and-coming arms. Of course, pitching rarely works out as planned. Kawakami was a bust, the Braves ate money to move Lowe, Medlen and Beachy required Tommy John and Tommy Hanson, well, Hanson saw the highest highs and lowest lows of the sport. Hanson did as everyone thought he would: He burst onto the scene in 2009 making his arrival noticed with a 3rd place running in the National League Rookie of the Year vote. That after having debuted in June! People forget that the Atlanta Braves brought Tommy in after cutting none other than Tom Glavine. They had a lot of hope for this young, 6’6″ red head from California. And he didn’t disappoint. His 2009 season is the kind pitchers’ dream of: 11-4, 2.89 ERA and 116 strikeouts (8.2 SO/9) in 127.2 innings pitched over 21 starts. But Tommy wasn’t just a line of stats to the Braves, he was a good clubhouse guy and a great teammate. You won’t find a former teammate that doesn’t say he was a joy to have around and one of the best guys to have on your side. In 2010, the Braves sent long-time manager Bobby Cox off in style. Their 91-71 record got them the Wild Card. Hanson’s 10-11 record on the season is hardly as telling of his season as his 3.33 ERA. He was a workhorse, going to the mound for 202-2/3 innings of work. Tommy was in or near the top 30 in both ERA and strikeouts that year. The Braves would go home after a mediocre loss to the Giants in the NLDS, but there was hope for a return to the postseason with such strong arms in the Braves’ system. The Braves did make it back to the postseason in the first ever National League Wild Card game, a game they lost. But Tommy Hanson didn’t pitch, his fellow Californian Kris Medlen did. And at this point, it was clear that something was very wrong with the righthander’s arm. It was painful watching Tommy fall as quickly as he did. In 2009 he looked as if he had a long career in baseball and one that would, if not consistently at least flirt with dominance. At the end of 2011, Tommy dealt with a nagging injury that can reasonably be blamed for his late struggles. The trade that sent Hanson to the Angels for Jordan Walden was widely heralded as a wise trade and one that would be good for both players. Anaheim didn’t need Walden to close and the Braves hoped a change of scenery would return Tommy to the pitcher he was when he broke into the league. Tommy’s ERA had been growing, he had spent time on the disabled list with a back strain and he hadn’t looked himself. While it was hard for the team and their fans to part with Big Red, as he had come to be called, everyone was rooting for Tommy Hanson. It was impossible to not root for Tommy. Tommy Hanson joined his teammates in Hawaii for the wedding of former (and now current) Brave Peter Moylan. We as fans may not have known Tommy personally, but we got to see these young Braves come up alongside him and we got to appreciate just how close they all were. 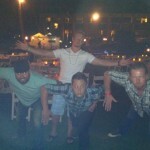 I was reminded of when Braves fans everywhere were posting pictures of themselves doing “The Kimbrel” and one of those pictures came from the players themselves. 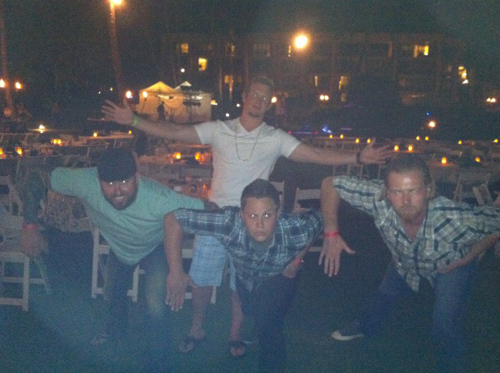 Attending Peter Moylan’s wedding in Hawaii, Tommy joined Medlen, Moylan and Kimbrel to show their support for the unusual stance of their teammate. It is a reminder of something we often forget about these players we watch for 162 games a season: They are first and foremost people. They have friends. They have family. And yes, sometimes their teammates become their family, but that isn’t a given. That Medlen calls Hanson a brother speaks to the kind of man he was. Baseball is just a game. This comes as a surprise to some, I know, but after the toughest game, the worst loss, the high of winning and even the end of the season, it’s just a game. There is life outside baseball. Both the game and life outside it aren’t always easy. Tommy knew this better than most. As Braves Country heals from this loss and moves on to another season, the last at Turner Field, it’s important not to forget this. Personally, I will never forget Tommy’s brilliant first half in 2011 and how disappointing it was to not have him named to the All Star team. That summer his finest start came against Houston. He entered that game with 2 games already where he’d recorded 10 strikeouts. That didn’t stop him from topping his best. He went 7 innings with 14 strikeouts and 1 earned run. It was one of those games when you knew this kid was special. Not only was his pitching unbelievable, his spirit was contagious. All 6’6″ of him stood on that mound and in that dugout, his flaming red hair and brilliant smile on display, and showed us that there was truly something special about Tommy Hanson. May Tommy rest in peace and be forever in our hearts. Coming into the 2015 season, the Atlanta Braves had a lot to prove. On the eve of Opening Day they said goodbye to fan favorite and closer extraordinaire Craig Kimbrel. They had already traded the bats of Justin Upton and Jason Heyward. They let go of a big chunk of relievers. But they also made trades that restocked the farm system and signed talented players in Shelby Miller and Nick Markakis. As it stands, the signees and trades have made a big impact on the club, keeping Atlanta around the .500 mark all season. 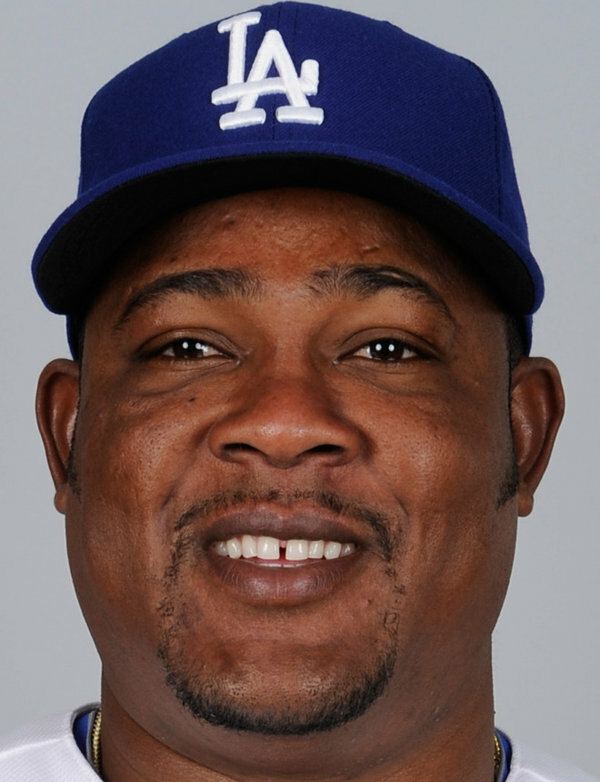 Uribe (36) holds a .257 BA in 15 years in the big leagues. He put up a .311 average in 2014 over the course of 103 games. Let’s talk about the newbies: Juan Uribe, the latest to suit up in a Braves uniform, came to the Braves with 1st round draft pick Chris Withrow at the cost of Alberto Callaspo, Eric Stults, Juan Jaime and Ian Thomas. While Callaspo and Stults had brilliant moments with their new club, the trade worked out well for Atlanta. 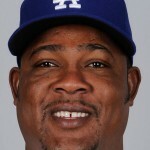 Juan Uribe, long remembered for his key hits against the Braves, still has pop in his bat and a surprising amount of agility and range at third base. Withrow is coming back from Tommy John surgery and won’t be on a big league field anytime soon, but come time for the new stadium opening, he may be a hurler the Braves can count on. Nick Markakis came back to the state where he played high school ball after a successful career with the Baltimore Orioles. The former 1st round pick put together a gold glove career in the field and a steady .291 average at the plate in 9 years with the O’s. With the loss of Jason Heyward, the Braves were looking for a more consistent presence at the plate, someone who could lead off and defense that was adequate. What they got was all of those things plus the gold glove caliber play that Markakis brings to the club. He has been everything they hoped for. His batting average sits at .305 going into the weekend, with a .792 OPS and 34 walks to 33 strikeouts (compared to Heyward’s 12 walks to 41 strikeouts thus far in 2015). He has provided a spark in the lineup and leadership in the clubhouse. The sting of losing Heyward seems to be wearing off. Coming to the Braves in the Justin Upton trade was a promising young infielder who everyone expected to head to Gwinnett. Jace Peterson played 27 games for the struggling 2014, hitting .113. He impressed Fredi Gonzalez at camp and was slotted in from Opening Day. He has put together a stellar start to the season with 53 hits and 23 RBIs in 219 plate appearances. His .275/.349/.347 line has been a consistent bright spot for a club that has at times struggled for runs. Peterson looks to have a solid career ahead of him with the Braves, evidenced by the willingness of the club to move prospect Peraza to the outfield and utilize Ciriaco off the bench. Atlanta has also seen unlikely production from Cameron Maybin (.298/.370/.417), opening the door for the release of Eric Young, Jr., baby Brave Kelly Johnson (.273/.319/.511), and backup catcher A.J. Pierzynski (.276/.320/.745) who had a torrid April. As much change as the lineup has undergone, it in no way compares to the complete overhaul of the pitching staff. With Kimbrel, Walden, Carpenter, Harang, Santana, Varvaro, Thomas, Simmons, Schlosser and Shreve leaving via trade and free agency and Minor and Simmons going down with injury, there were a lot of holes to fill to put together the puzzle that is the 2015 staff. Additions of Jim Johnson and Jason Grilli shored up the closer spot. Trades that brought Shelby Miller, Mike Foltynewicz and Manny Banuelos to the club were hopefully going to pay off in the rotation, but the Braves bet on Eric Stults over Foltynewicz out of camp. Injury to Minor and inconsistency from Teheran in the beginning opened the door for Folty. Mike Foltynewicz has been impressive for a guy who came to the Braves with the question mark next to his name regarding where he would fit in. Bullpen? Maybe. Triple-A? Likely. Now? He is one of the shining stars on the staff. With his regularly lowering 4.72 average in 8 starts (3-2 record), he’s had 45 K’s in 47 2/3 innings. In the control of Atlanta for the years going into the opening of Sun Trust Stadium, his career is promising and looks to pay dividends to a club that took a chance. The new ace of the staff is without question Shelby Miller. Miller came to the club looking to continue his young career out of the shadow of Adam Wainwright and consistently good St. Louis staffs. It’s incredible that in 78 1/3 innings pitched he has only recorded a 1.84 ERA. A 5-2 record doesn’t do justice to how good Miller has been. The run support has not always backed his strong effort. With the early struggles of Julio Teheran and the attempts by Alex Wood to understand his role and settle into it, Shelby’s success has been the balance required for the rotation to go forward. Nobody can replace the numbers that Craig Kimbrel put up for the Braves. As the club’s all-time saves leader, Kimbrel’s loss was huge. Jim Johnson’s 3.18 ERA in 28 1/3 innings pitched is hardly reflective of his good outings. A few rough weeks for the ‘pen have ballooned his ERA. His 22 K’s and 3 saves combined with Jason Grilli’s 3.38 ERA, 16 saves and 28 K’s in 21 1/3 innings are pretty comparable to the numbers Kimbrel has put up for San Diego (3.91 ERA and 34 K’s over 23 innings). They don’t bring the heat or the “Welcome to the Jungle” hype, but as replacements go, they hold up. It was no secret that Atlanta was looking to restock the farm in the offseason as they geared up for the move out of Turner Field. It did come as a surprise that the pieces they added to the roster for the here and now turned out to not only be adequate but fun to watch as they scraped and clawed for every run and every win. Still reeling from the news that the Braves had traded former Rookie of the Year, perennial all-star and all-time club saves leader Craig Kimbrel to the San Diego Padres, the Braves embarked on the first series of the season in Miami lacking some of the cohesiveness they had broke camp with. Despite the startling news to Kimbrel’s former teammates, they took to Miami with confidence and walked away with a series sweep. A.J. Pierzynski, the 38-year-old backup catcher, launched a 2-run blast off Koehler in the 7th inning of a no-score game. The story of the series wasn’t the remaining members of the 2014 Opening Day roster (Avilan, Freeman, C. Johnson, Simmons and Teheran), but the newcomers to the club. Backup catcher A.J. Pierzynski came through in the final game of the series with a 2-run homer that put the Braves on top and unreachable by the scuffling Marlins. Pierzynski appears to be an addition that can provide offense if given proper rest, an arrangement that is perfect for a club with Christian Bethancourt as its everyday catcher. 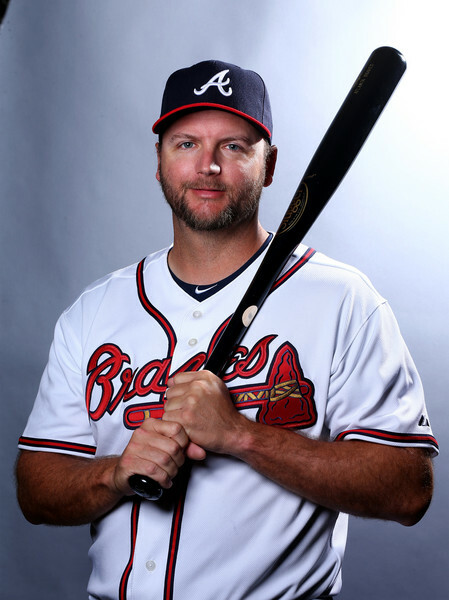 Pierzynski was signed as the veteran catcher that could mentor the young Bethancourt, any offense he provides is a bonus in the eyes of the club, a bonus that will endear him to fans quickly. Fredi Gonzalez announced on day one of the new season that he would turn to veteran closer Jason Grilli to come in for the club in save situations with the possibility of another veteran closer, Jim Johnson, getting a few saves when Grilli needs a day off. Grilli stepped in without hesitation and has notched 2 saves on the season thus far. Grilli, who made his MLB debut in 2000, is no stranger to closing and made a name for himself and an all-star appearance in that role with the Pittsburgh Pirates. It wasn’t only the veterans making their mark in the first 3 games of the season. Jace Peterson, who came to the club in the trade that sent Justin Upton to the San Diego Padres, made a splash with a few impressive defensive plays at second base. Peterson was named the starting second baseman over veteran Alberto Callaspo and fellow rookie Pedro Ciriaco. He recorded 2 hits, 2 walks and 2 runs scored in his debut series. His bat will need improvement, but the young man has a promising future and looks to be a great add for a club that has struggled at second base going back to the trade that brought Dan Uggla over from the then Florida Marlins. Perhaps the trade that will pay the highest dividends for the club this season was the swap with the Cardinals that brought starting pitcher Shelby Miller to Atlanta in exchange for Jordan Walden and Georgia’s own Jason Heyward. Miller brings with him to Atlanta a record 25-18 record over 370 innings pitched. Young and with loads of potential, Miller will be with the club for far longer than Jason Heyward would have been (Heyward becomes a free agent at the end of the 2015 season) and can slot in nicely in the rotation in either the 2 or 3 spot. In his first start with the club, Miller pitched 5 innings of scoreless ball while striking out 4. Miller looked sharp despite only lasting 5 innings. Something that was quickly obvious in the first 3 games of the season was the lower strikeout rate of the roster and the ability to move base runners over. They were 10-for-23 with runners in scoring position in Miami, already a huge improvement from the 2014 Atlanta Braves. The rally that they put together in game 2 that gave them a 7-0 lead after the first inning was a sight for the sore eyes of fans who watched many a rally killed last season. The final 12-2 score was a credit to the entire lineup with contributions from Markakis, Freeman, EY Jr., Bethancourt, C. Johnson and newcomer Maybin. The home opener in Atlanta looks to be full of familiar faces as former Braves descend on Turner Field to mark the season in which the Braves left Milwaukee for Atlanta. Bobby Cox, Fred McGriff, Henry Aaron and Chipper Jones are expected to be in attendance. Friday’s opener will feature Niese v. Stults. Saturday pits Gee vs. Teheran (1-0, 1.50 ERA). And Sunday’s finale will feature a yet to be named Met vs. Wood (1-0, 3.60 ERA). Eric Stults had a solid spring with his new club, beating out Wandy Rodriguez for a spot in the rotation. Stults isn’t necessarily a name familiar to the casual fan as he really struggled through most of last season with the equally troubled Padres. However, with the help of changed mechanics, he put up a 2.74 ERA in the final 11 starts of his Padres tenure. The Braves toyed with the idea of putting Stults in the ‘pen, but his strong spring would not allow for it. He has a lot to prove to his new club with this start, but with the injury to Mike Minor and the time Mike Foltynewicz needs at Triple-A, Stults won’t be facing competition for his starting job. Stults brings a career 4.12 ERA and a 35-43 record to the club. With both a righty and a lefty taking the mound, look to see a mix of outfielders with Eric Young, Jr. facing his old team as well as fellow newcomers Cameron Maybin, Jonny Gomes and Kelly Johnson. Gomes and perhaps even Gosselin will get a chance against the lefty. One other note on the flexible outfield that Fredi Gonzalez has at his disposal: The Braves got word this week that $7.5 million dollar man Dian Toscano has finally arrived in Florida. The Cuban defector had been in limbo in the Dominican Republic while awaiting a U.S. visa. He will attend extended spring training at the Wide World of Sports complex in Florida before being sent to Triple-A Gwinnett. No, it isn’t April Fool’s Day. No, you read that headline correctly. With hours ’til Opening Day 2015, John Hart and the Braves’ front office pulled the lever sending closer Craig Kimbrel and outfielder Melvin Upton, Jr. (B.J.) to the San Diego Padres. In return, the Braves receive outfielders Carlos Quentin and Cameron Maybin, Padres’ 4th best prospect Matt Wisler (RHP), outfielder Jordan Paroubeck and the 41st pick in this year’s draft. 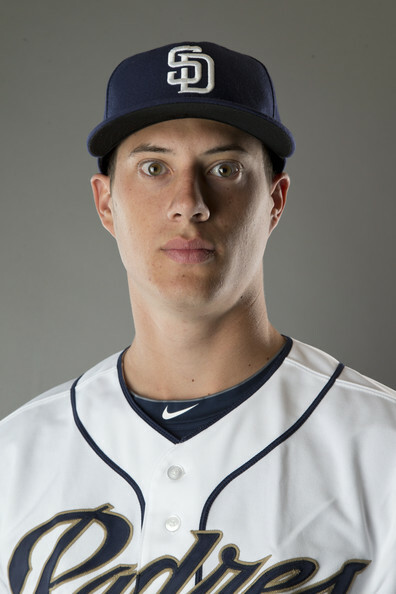 The key piece in the trade is pitching prospect Matt Wisler (RHP) who was ranked by Baseball America as the Padres’ 4th best prospect. Let’s start with the good news: The Braves continue to rake in prospects. In what is now clearly a complete rebuild, Atlanta has brought in some of the best talent in the league and continue that with Matt Wisler. 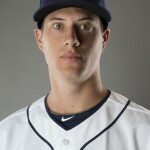 Wisler was ranked by Baseball America as the 4th best Padres prospect and at 22-years-old is knocking on the door of the big leagues after spending half of 2014 with Triple-A El Paso. In addition to Wisler, the Braves acquired another prospect in Jordan Paroubeck. An outfielder, Paroubeck is a switch hitter who made his debut last season in Rookie ball. The draft pick the Braves receive is an interesting addition to what has been a winter full of draft selection pick ups. They will now have 4 picks in the first 54 selections of the 2015 draft. The two big leaguers that the Braves acquired in this trade that are ready and capable of being placed on the field tomorrow are Carlos Quentin and Cameron Maybin. Speculation is that Quentin will be immediately DFA’d to make room on the roster and so that he can return to an AL team where his skill set is better suited. Quentin’s addition to the trade package evened out the financial sides. Cameron Maybin will be the extra outfielder the Braves had hoped to have on their Opening Day roster but simply didn’t have enough players for. With the absence of Cuban signee Toscano due to visa issues, the Braves had planned on taking the field tomorrow with one less outfielder and one extra pitcher. They will now place Maybin on the OD roster as a right-handed counter to Eric Young, Jr. in center field. The Braves will call up Brandon Cunniff to fill the vacated spot of Kimbrel. Though it’s hard to understand why a player like Kimbrel would be part of this trade package, especially after this winter John Hart said that Kimbrel was a piece he hoped to build the team around, there are financial upsides to this trade that will help the team as the opening of the SunTrust Stadium approaches. As the team’s all-time saves leader, Kimbrel has a place in Atlanta that will leave a hole for some time to come. His salary, however, will give the Braves opportunities to sign other players as they build for 2017. The Braves owed Kimbrel $33 million over the next 3 seasons. Additionally, they owed Melvin Upton, Jr. $46.35 million over that period from a deal that has turned out to be one of the worst in Atlanta’s history. Losing close to $80 million has a huge upside for a club with a sub-$100 million salary each season. In terms of what they pick up in salary, the Braves take on $11 million plus a 2016 buyout on Quentin and $16 million for 2 years of the services of Maybin. Keeping in mind that Upton would be starting the season on the disabled list, the Braves would be sending Eric Young, Jr. out to center field every day. While his defense is acceptable, his bat is not built for both right-handed and left-handed pitching. Adding Maybin gives the Braves flexibility in center as well as lineup options. In the offseason, the signings of Jim Johnson and Jason Grilli seemed to bolster the bullpen and create questions regarding what a team would do with essentially 3 closers. Now without Kimbrel, either Grilli or Johnson could slot in at closer. Both have worked in camp with Roger McDowell to get back to the form they were in when they were best with Pittsburgh and Baltimore, respectively. The Opening Day roster appears to be as follows for Atlanta: Pitchers Avilan, Cahill, Grilli, Jaime, Johnson, Martin, McKirahan, Miller, Outman, Stults, Teheran, Wood; catchers Bethancourt and Pierzynski; infielders Callaspo, Freeman, Gosselin, Johnson, Peterson, Simmons; outfielders Gomes, Johnson, Markakis, Maybin, Quentin, Young, Jr.
Vizcaino was acquired for Tommy La Stella this winter and expected to be a prominent figure in the new Braves bullpen. Atlanta Braves’ relief pitcher Arodys Vizcaino was suspended Thursday for testing positive for PED use in violation of the Major League Baseball Joint Drug Prevention and Treatment Program. Vizcaino will serve an 80-game, unpaid suspension beginning with the regular season next week. Reports are that Vizcaino tested positive for Stanozolol, a synthetic anabolic steroid. It is his first positive test. Vizcaino was assigned to Triple-A Gwinnett Monday after struggling mightily in Grapefruit League play. His performance ended the hope that he would be part of a revamped bullpen. Vizcaino’s eight innings of work over seven appearances at camp resulted in 8 runs allowed on 9 hits and a head-scratching 8 walks. The Braves decided getting Vizcaino right in Triple-A would be beneficial when the ‘pen needs reinforcements. They will now have to look elsewhere until Vizcaino returns in 80 games. 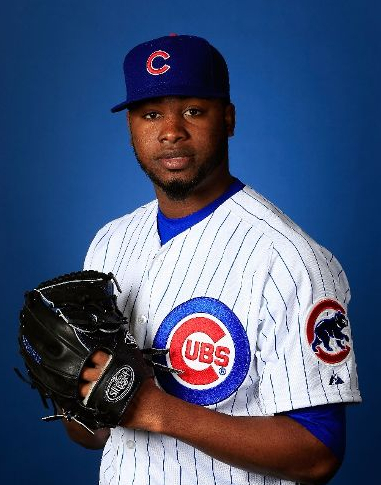 Over the winter, Arodys Vizcaino was acquired from the Cubs with international signing money for middle infielder Tommy La Stella. While the Braves have lost Vizcaino for 80 games at the cost of a promising young player in La Stella, they were able to sign 8 players with the $830,000 in international signing cash they received from Chicago. Additionally, La Stella had lost his starting spot with the signing of Callaspo and the trade that brought Jace Peterson to the club. In the absence of Vizcaino, the Braves continue to make decisions regarding the opening day bullpen spots. When the Atlanta Braves arrived at Champion Stadium this spring, nobody in baseball knew what to expect of the revamped, ragtag group of players assembled by the team’s front office in the offseason. In fact, many of the players themselves didn’t know what to expect, but were excited about the talent and youth coming together. The team looked so different that Craig Kimbrel had shirts printed for all of the players with the humorous ‘My Name Is ______’ tag. Humorous as it may have been, it turns out there are many players that not only broke camp with the club that no casual follower of the club has heard of or knew was with the team but many of those players look to be on the opening day roster. Coming into camp, the common wisdom was that there would be one roster spot up for grabs. This changed when Mike Minor began his throwing program and reported shoulder discomfort and tightness. Minor is no stranger to this ailment, but the timing of it made for an unexpected battle for not one but two rotation slots. The news now is that Minor has begun a throwing program after a series of exercises prescribed by Dr. Andrews improved his range of motion. The hope is that what plagued Minor throughout 2014 will no longer bother the lefty. But even with his progress, Minor is expected to miss at least a month of the season. This has opened the door for none other than veteran Wandy Rodriguez. You’ll remember that Wandy Rodriguez was cut loose by the Phillies’ front office after failing a physical as spring training was getting underway. 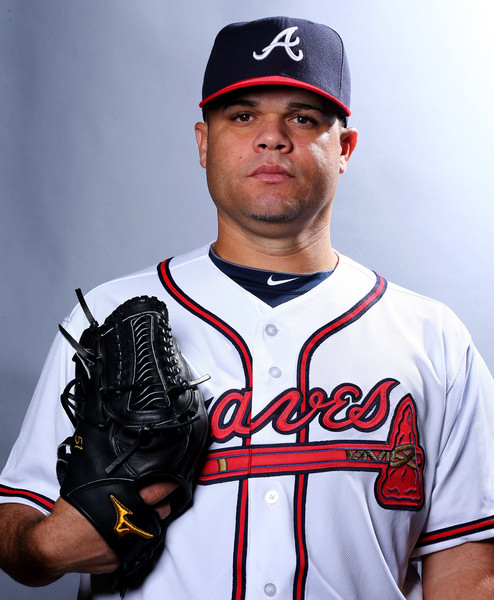 The Braves signed Wandy to a minor league contract with an invite to camp. If he makes the 40-man roster on opening day, he will received $2 million for his services in 2015. This, of course, is no longer an if. Barring any catastrophic outing between now and opening day, Wandy has secured the 4th rotation spot after a fantastic spring with his new club. Rodriguez holds a 91-94 record with a 4.06 ERA in his career. Additionally, he posted 6 consecutive seasons with an ERA under 4.00 while playing for the Astros and Pirates. With 2 rotation spots, the battle for the 5th roster spot continues. Another surprise this spring is the promise of Mike Foltynewicz. When the Braves made their trade with the Houston Astros sending away Evan Gattis, it wasn’t expected that any of the prospects coming back would be big league ready. Despite a tough outing Tuesday when he was lit up by the Phillies, Folty remains in the mix for a rotation spot. Also fighting for the spot is former Padre Eric Stults, veteran starter Chien-Ming Wang and former Yankee Manny Banuelos. Coming into camp, the Braves expected big stories from some of their newest acquisitions. What nobody expected was for Andrelton Simmons to walk into camp with his offense and defense firing on all cylinders. In 10 games and 30 ABs, Simba is hitting .467 with a club-leading 12 RBIs. Joining the hot bat of Simmons are the two guys battling for the spot as his double-play partner. The Braves signed Alberto Callaspo in the offseason with the assumption that he would be their opening day second baseman, but his presence in camp has not yet materialized in much positive. Instead, Jace Peterson and Pedro Ciriaco have stepped up in big ways. Showing adequate defense for their age and lack of experience, the true test was whether either player had progressed at the plate. In 41 ABs over 16 games, Peterson has 14 hits and 8 walks with a .341 average. However, with those astonishing numbers come 11 strikeouts. Ciriaco has a comparable 41 ABs in 17 games. Over that span he has put together 15 hits, 9 RBIs and a .366 average. The major difference between the two 2B candidates is OBP. Jace at .449 and Pedro at .372. The biggest acquisition for the offense over the winter was veteran outfielder Nick Markakis. It came as both a surprise and a blow immediately following his signing when he underwent cervical spinal fusion surgery. For much of the winter it was unclear when Markakis would be able to return to full baseball activity. That he wouldn’t be ready for opening day seemed a foregone conclusion until he made his spring debut this week and put all doubts to rest. In his first 2 games and 6 ABs, Markakis has 2 runs, 2 hits and a .333 average. 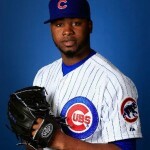 His progress on the field seems to indicate that he will be ready for the April 6th first game against the Marlins. A regular that came into camp with something to prove that has remained unproven is third baseman Chris Johnson. Johnson had a major fall off after his first remarkable year with the club, but the Braves remain hopeful that last season was the anomaly and not his successful batting title-contending year. However, Joey Terdoslavich has been given some time at the hot corner to determine whether he can pick it. With Terdoslavich in the mix as well as veteran Callaspo, Johnson’s starting job looks not to be as solid as previously thought. As we saw more and more at the end of 2014 with B.J. (now Melvin) Upton and former (and still on the payroll) Brave Dan Uggla, the team will not allow for one player to bring down the lineup day in and day out. Still in contention for bench spots are the aforementioned Terdoslavich, the rejuvenated Kelly Johnson and Almonte. Much of what happens with the bench will come down to who wins the 2B starting position, whether Eric Young, Jr. is the starting center fielder and how much the Braves think they can rely on Alberto Callaspo and Johnson.